Porto Katsiki (approx 50mins drive from Diodati Villas), is one of the main beach attractions of Lefkada and among the 10 best beaches in Greece and in the Mediterranean. It is located 45 km southwest of the island’s capital and close to Athani village. 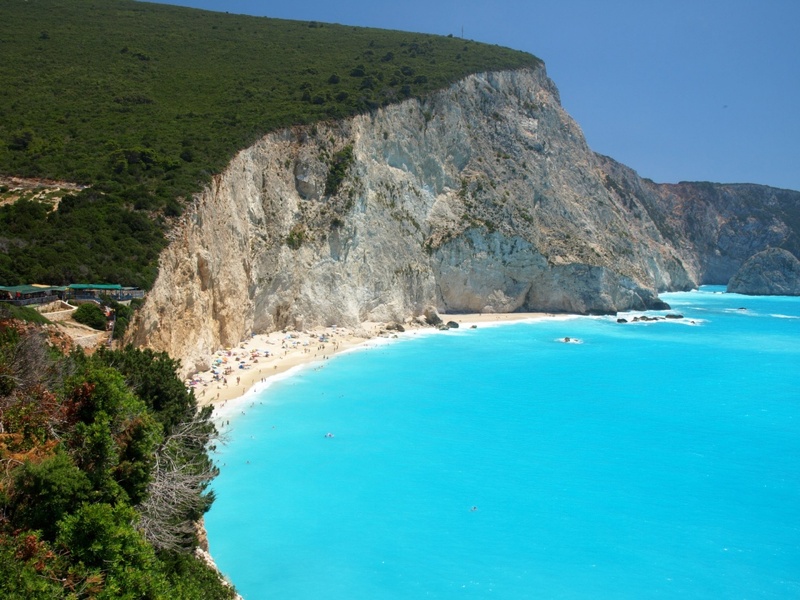 The natural beauty of Porto Katsiki offers one of the most impressive themes that Lefkada is famous for. Abrupt white cliffs form a wild yet magnificent backdrop and a unique antithesis with the deep blue waters of the Ionian. Lush vegetation covers the surrounding area creating one of the most idyllic landscapes in the world. Numerous sunbeds and umbrellas cover this famous sandy beach but the cliffs offer some beautiful shaded spots for some privacy and relaxing sunbathing. Some steps will lead you directly to the beach. Porto Katsiki is simply irresistible for thousands of visitors around the world and a unique sightseeing experience It is frequented with private yachts and is simply the best way to access this beach, apart from a car. It can also be reached by taxi-boat from the villages of Vassiliki and Nidri. A car parking, bars and canteens are found on top of the stairs.